Home / Stock Picks / Stocks to Buy / 8 International Stocks Priced to Beat the U.S. Since the bottom in early 2009, the S&P 500 Index is up about 220%. The MSCI All Country World Ex-U.S. Index — which covers pretty much the entire rest of the world outside U.S. borders — is up less than 80% over the same period. But before you drape yourself in Old Glory and chant “U-S-A … U-S-A …” keep in mind that American outperformance has historically been cyclical. There are long stretches when American stocks dominate the competition like the Southeastern Conference in college football. But there are also plenty of times when U.S. stocks get clobbered as hard as Rocky Balboa by the Russian in the first 14 rounds of Rocky IV. I’ll start with oil supermajor BP Plc (ADR) (NYSE:BP). BP’s relationship with the U.S. of A is, shall we say, “complicated” following the Deepwater Horizon oil spill. The spill caused billions of dollars of damage to the Gulf of Mexico coast and made BP into something of a pariah among Americans. But in the six years that have passed, BP has slowly waded through the legal and regulatory mess and has emerged as a viable, if not smaller, energy major. The lingering effects of the oil spill has caused BP stock to trade at a discount to its supermajor peers, but as time passes that discount should continue to narrow. Today, BP trades at prices it first saw in the mid-1990s. It trades for 12 times next year’s expected earnings and at a dividend yield of 7%. As a point of comparison, U.S. supermajor Exxon Mobil Corporation (NYSE:XOM) trades for nearly 20 times expected earnings and yields 3.5%. Starting at these prices, I would expect BP to crush its American competition. The Japanese yen has gained nearly 20% over the past year, and it’s wreaking havoc on Japanese exporters. The exchange rate that the Japanese government estimates is the breakeven level for exporters is 103.2 yen to the dollar. Well, as I’m writing this, the yen trades at 102.2. So at current exchange rates, Japan’s exporters lose money. That’s bad for an automaker like Toyota Motor Corp (ADR) (NYSE:TM) that depends heavily on sales in markets outside of Japan. But here’s the thing. While is yen is expensive today, I don’t expect it to stay that way for long. Japan’s economy is stalling out again. Over the past four quarters, Japanese GDP grew at an average rate of just 0.2%. So Japan’s government will be putting renewed pressure on the Bank of Japan to push the currency lower. Furthermore, as the Federal Reserve moves closer to raising rates, that should push the U.S. dollar higher. So, Toyota should be very close to getting a much needed currency tailwind from a sagging yen. And given that Toyota trades for a modest 10 times next year’s expected earnings and yields over 3%, I think it’s likely that Toyota outpaces the U.S. market by a healthy margin. Along the same lines, I like Daimler AG’s (OTCMKTS:DDAIF) prospects going forward. I’m not sure what the future holds for the European Union. Is the Brexit vote a prelude of things to come? Will other countries follow the U.K. out the door? Will the Italian banking crisis overwhelm the European Central Bank? Will the migrant crisis lead to widespread unrest? Frankly, I have no idea. But I expect that the euro will come under pressure for several years to come. At a time when the Fed is itching to raise rates, ECB chief Mario Draghi is talking about new and creative ways to stimulate, including pushing interest rates deeper into negative territory. A cheap euro is a major advantage to a global exporter like Daimler, maker of the iconic Mercedes-Benz. About two-thirds of Daimler’s annual revenues come from outside Europe. So the lower the euro slides, the better Daimler’s profit potential. At current prices, Daimler trades for eight times earnings and sports a dividend yield of 5.3%. When it comes to global spirits leader Diageo plc (ADR) (NYSE:DEO), you might want to be careful in following Peter Lynch’s advice to invest in what you know. Doing too much primary research into Diageo’s liquor brands might unlock a predisposed mental illness! Diageo is a global leader in scotch whisky, vodka and other spirits. Its brands include Johnnie Walker, Smirnoff, Captain Morgan and many others. Diageo is based in the U.K., which makes life somewhat complicated these days. With the U.K.’s status in Europe still being resolved, no one knows what happens next. That uncertainty has pushed the British pound to multi-decade lows … which isn’t such a bad thing for Diageo. Many of its costs are denominated in cheap British pounds while most of its revenues come from overseas. No American spirits maker matches Diageo in terms of size and scope. To put some numbers behind that, Diageo had global revenues of 10.8 billion euros last year, which equates to about $14.3 billion. The largest independent American spirits company — Jack Daniel’s maker Brown-Forman Corporation (NYSE:BF.B) did $4.1 billion in sales last year. Considering Diageo’s larger global presence and its favorable currency tailwinds, I see it drinking its competition under the table. It’s hard to say with a straight face that a Spanish company is primed to outperform. After all, Spain has been mired in on again/off again crisis for the better part of a decade now. Spain’s housing bubble and bust was larger than that of the U.S., so Spain got whacked even harder than we did in 2008. But then, in 2010, when America had started to get its legs back, Spain got sucked down with the European sovereign debt crisis. Adding insult to injury, the restive Catalonia is looking to secede. Yet, lost in all of these bad macro headlines are Spain’s firesale prices of some of the world’s finest multinationals. One in particular is Telefonica S.A. (ADR) (NYSE:TEF), a global leader in mobile telephony, internet and pay TV. Telefonica’s biggest long-term strength — its strong presence in emerging markets like Brazil — has been its biggest short-term weakness in recent years. But emerging markets appear to be turning a corner, and as their fortunes improve, so will Telefonica’s bottom line. Today, Telefonica yields a very impressive 8.7% in dividends, meaning you get paid very handsomely to wait. Along the same lines, we have battered Spanish bank Banco Santander, S.A. (ADR) (NYSE:SAN). Santander has the unfortunate luck of being a bank … in Europe … in a periphery country … with extensive operations in Brazil. So you can imagine that the headline risk in Banco Santander is about as bad as you can get. But there is a price at which all bad news is already priced in, and I think Banco Santander is essentially there. Today, Banco Santander trades for about $4.50 per share, which puts it roughly at 1996 prices. Before the 2008 crisis hit, the stock traded hands at nearly $22 per share. So Santander is still down by around 80%. Santander has been repairing its balance sheet for years, and improving prospects in its core markets outside Europe, such as Brazil, and ironic considering the tone of this article, the United States. I expect financial stocks in general to do well in the coming year, and I expect that Santander will do a lot better than most considering its cheap starting point. As an added sweetener, Banco Santander sports a respectable 5% dividend yield, so we’re getting paid handsomely even if the stock moves sideways for a while. The French take their food seriously and rightly so. It’s arguably the best in the world, and food tends to permeate other areas of French thought. French General and President Charles de Gaulle famously asked how he could be expected to govern a country with two hundred and forty-six varieties of cheese. So as you can imagine, French food conglomerate Danone SA (ADR) (OTCMKTS:DANOY) is a worthy adversary on the world stage. Danone makes yogurt and other dairy products and also has a successful line of infant nutrition brands. DANOY also owns iconic Evian bottled water brand, among others. Danone isn’t quite as cheap as some of the other names on this list. It trades hands at 22 times earnings and yields a modest 2.5%. But its American competitor Mead Johnson Nutrition CO (NYSE:MJN) is even more expensive, trading at 29 times earnings and yielding just 2.1%. Yogurt is more popular than ever, and Danone is the global leader. I’d trust the French on this one. 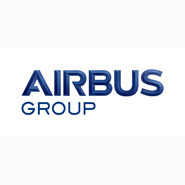 And finally, I’ll leave you with one final European powerhouse, aerospace and defense leader Airbus Group (OTCMKTS:EADSY). Aerospace is a tough business to be in. It’s both highly cyclical and subject to the whims of governments … most of which are pretty broke these days and looking to cut back. But Airbus is a survivor and one of the choice few companies in the world that can compete with Boeing Co (NYSE:BA). Today, Airbus trades for a very modest 13 times earnings. Boeing is a fair bit more expensive, trading at 23 times earnings. That alone should get your attention. But more interesting to me are the prospects for the two companies going forward. As an American company, Boeing has to deal with strong dollar headwinds for the foreseeable future, whereas Airbus should benefit from a cheapening euro. Furthermore, global investors have been underweight Europe for years, but I don’t expect that to continue much longer. As investors rediscover the European market, global names like Airbus should be near the top of their list. Charles Sizemore is the principal of Sizemore Capital Management. As of this writing, he was long BP, TEF, SAN stock. Article printed from InvestorPlace Media, https://investorplace.com/2016/09/international-stocks-to-buy-bp-tm-danoy/.